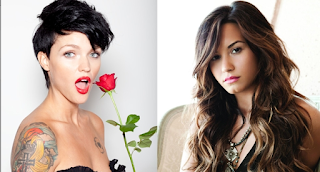 Ruby Rose' past affair with Demi Lovato resurges with her Orange is the New Black popularity. Aussie actress Ruby Rose has made a whole lot of new fans thanks to her eye-catching turn on Orange Is the New Black Season 3, but rumor has it Ruby already caught the eye of singing sensation Demi Lovato back in 2013. 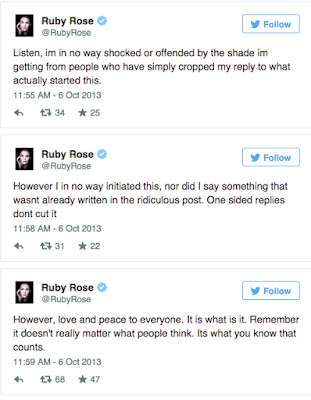 The Daily Mail reported back in 2013 that Ruby Rose posted on social media indicating that she and Demi had hooked up, saying that Demi's fans were tweeting nasty things at her "for being a scorned ex lover." She also reportedly posted on Instagram this defensive message: "Im like the one person demi has slept with that didnt sell on naked photos of her so eff off." Those posts have since been deleted, and there's no way to know the truth behind any of this. 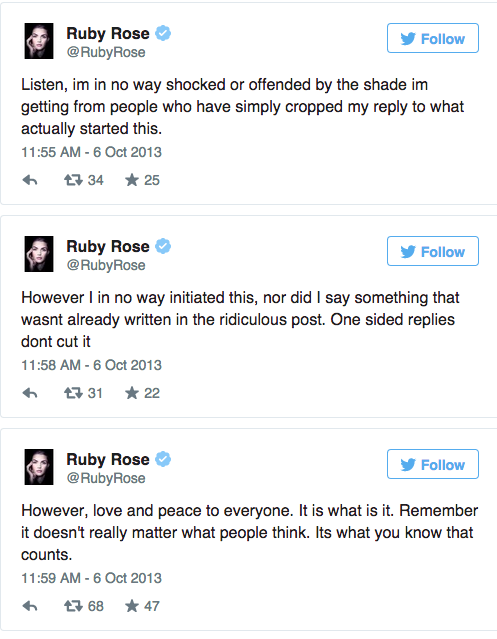 However, as Metro UK points out, Ruby does still have some tweets up from that time that suggest there was certainly social media drama. Whether or not Ruby did hook up with Demi in the past, the gorg star is now taken. She's engaged to Phoebe Dahl, who just so happens to be the granddaughter of beloved children's book author Roald Dahl. Demi Moore or Demi Lovato?